The studio muse and her sidekick, washi tape. 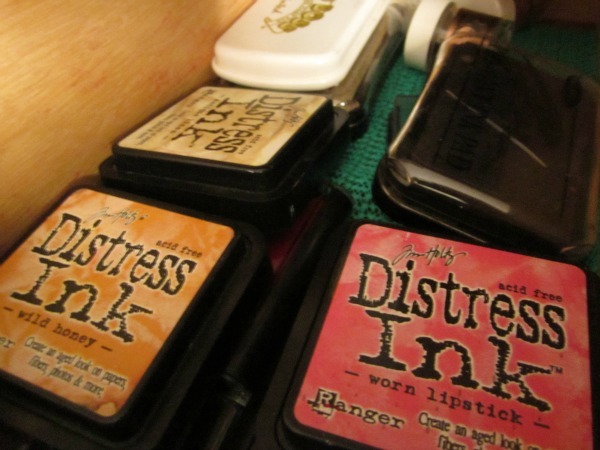 There are so many uses for distress ink: backgrounds, definition, canvas corners, shading, and on. 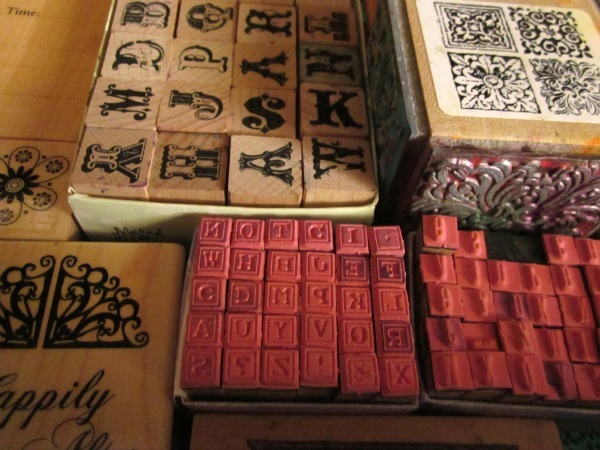 I have a slight obsession with alphabet letter stamps. As well as bugs, shapes, patterns and homemade stamps. 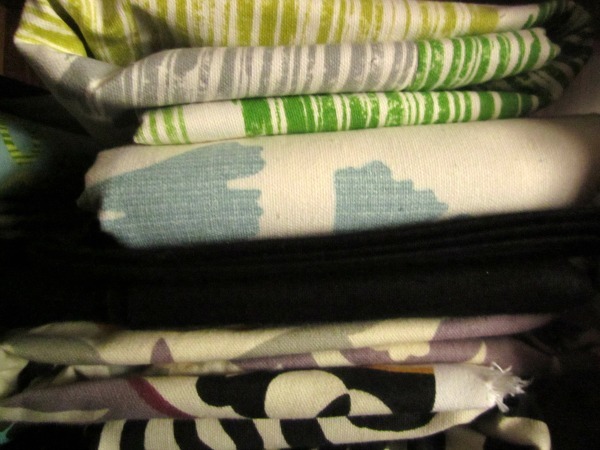 I have a dream of sewing someday . . . so here sits the pretty material waiting to be used. 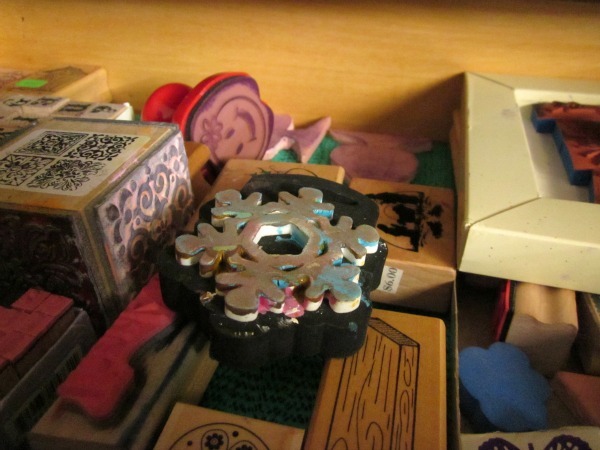 A close-up of more fun-to-play-with stamps. Did I mention I like stamps? 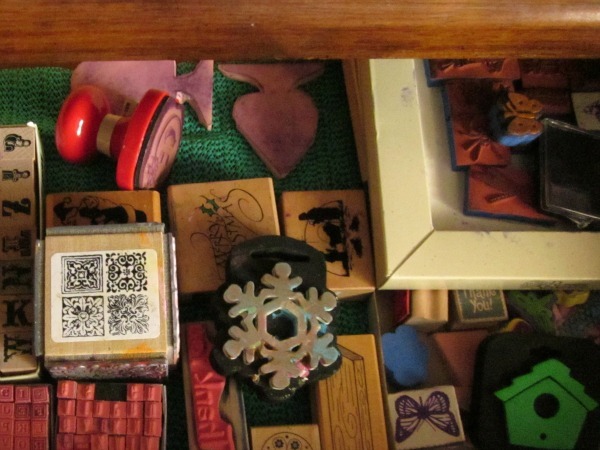 What fun stuff is hidden in your cupboards? Oooh...lots of wonderful goodies you have in there! Your little muse is such a cutie. I've heard great things about washi tape, but haven't tried it yet. Very curious! 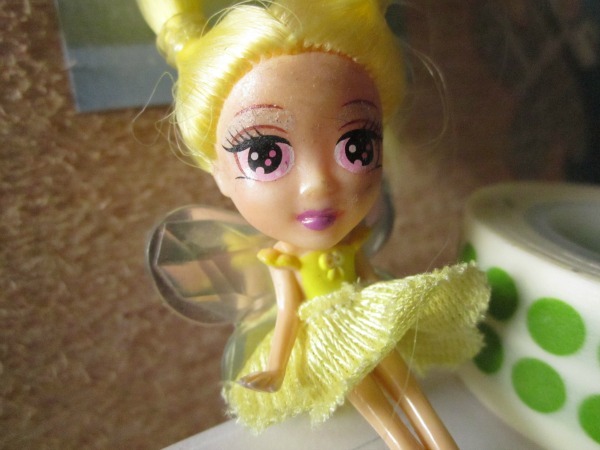 The muse was happy you called her cute; said she's going to send inspiration your way. ;) And yes, you must try washi tape ~ it's too fun.